Dr. Nüsret – Semahat Arsel International Business Law Implementation and Research Center has been established with the contributions from Dr. Nüsret Arsel and Semahat Arsel, engaged in the field of international business law within the structure of Koç University Law School. The Center focuses on academic activities such as symposiums, conferences, workshops and seminars on fundamental research areas of law. It makes research and scholarly collaborations in the field of international commercial law, e.g. international business transactions, international trade regulations and disputes, merger and acquisitions, international commercial arbitration, trade barriers, joint ventures or corporate governance. The field of activities of the Center extends to legal implementation, profession and research in international private law, business transactions, all fields of economic law, intellectual property and information technology, law of contracts and international sales law, transport law, insurance law and tax law. The Center supports also research in the field of comparative and international judicial studies and alternative dispute resolution. 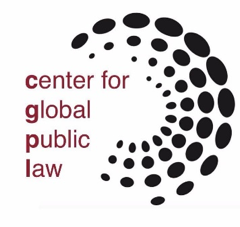 The Center for Global Public Law is a research hub for the investigation of the effects of globalisation on how we define, defend and practice public law. Koç University Law School has an exceptional range of expertise in the disciplines and sub fields studying the effects of public law under condtitions of globalisation. It covers the core subjects of public law, including constitutional law, administrative law, criminal law, human rights law, gender law, environmental law, public international law and European public law,but adds to it an unrivalled span of research and teaching in international organisations, history of international law, political science of globalisation, sociology and philosophy of public law. Building on this foundation, the CGPL works to stimulate research and support multidisciplinary collaboration across sub-fields of law and accross disciplines. It acts as the hub of expertise on global public law issues and provides a conduit between the university, policy-makers, judiciary and civil society. We offer an international colloquim series, programme of public events, provide expert analysis and commentary, build up research collobrations and aim to provide an intellectually stimulating environment for researchers at all stages of their careers.